ReachOut365® is a mass-media/content delivery platform that uses the latest, proven, ultra-high-volume technologies, to deliver seamless, perfectly-branded, HD-quality, full-screen-able content, to audiences ranging from one, to tens of millions. Its unmatched feature set can handle just about any scenario. E-mails: ReachOut365® provides the opportunity to craft your own series of e-mails, brand and customize them, and then deliver them to your audience on a schedule of your choosing. The system can seamlessly handle campaigns ranging from hundreds to millions of messages, on whatever custom schedule you require, and can also send individual "one–off" messages to your lists whenever desired. Organizations want to ensure that campaigns reflect the power of their brand. 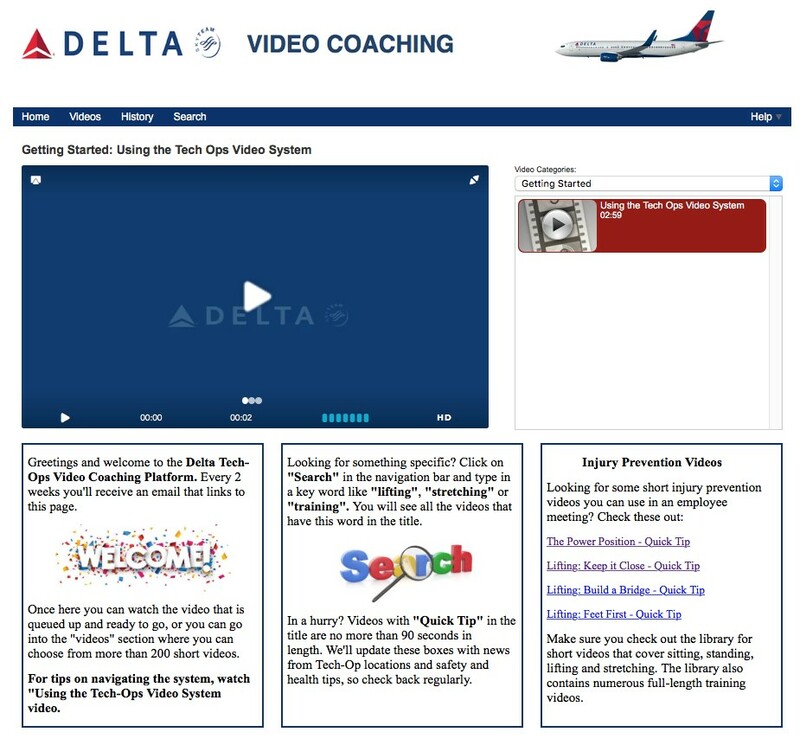 ReachOut365® offers the opportunity to customize virtually every aspect of the video player page, include the logo, banner and content boxes (under the video player section). Simply clicking on a particular area of the Editor screen displays formatting controls for that section. 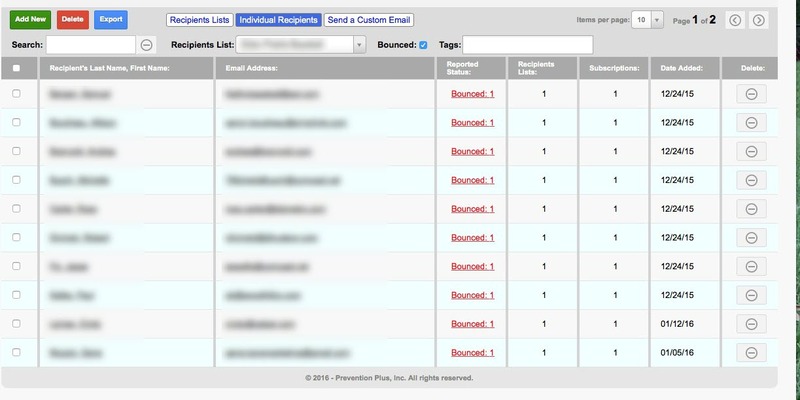 ReachOut365® makes it easy to manage the emails/texts that don’t get through to Recipients (i.e., "bounces"). 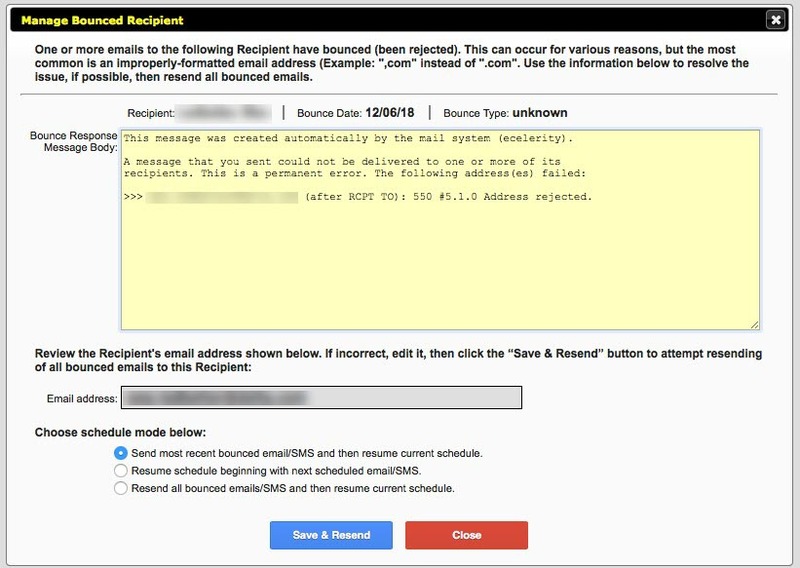 The system clearly identifies who bounced and why, and enables you to quickly correct the issue and resend, and automatically makes a second attempt (within a few minutes of the initial try) to resend all emails/texts that have bounced. Sending out a Subscription is simple; ReachOut365® walks you creation of each of the "pieces" and preparation for launch to each audience. 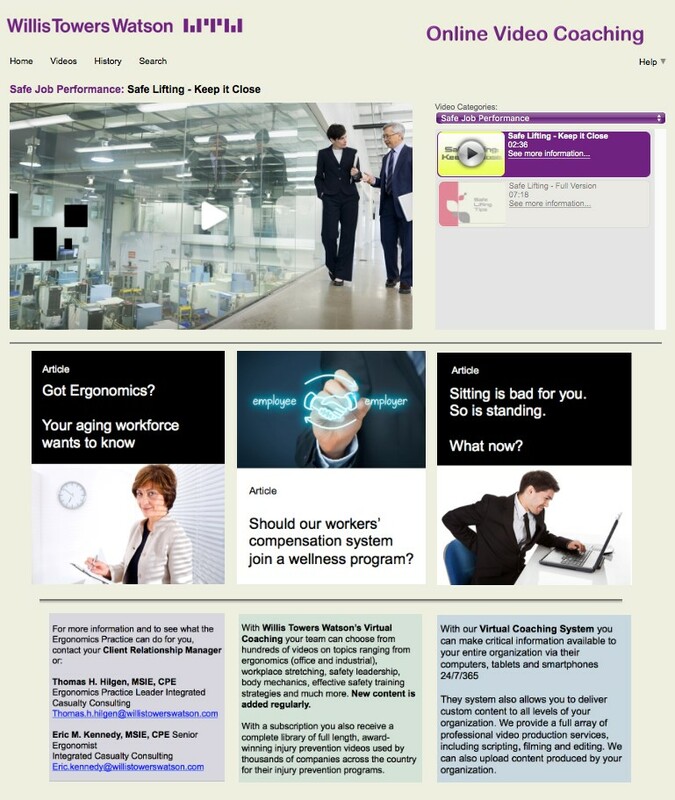 Each Subscription has a comprehensive editor screen that shows all components, broken-down by functional sections, so you can rapidly adjust the specifics to meet the needs of each audience. 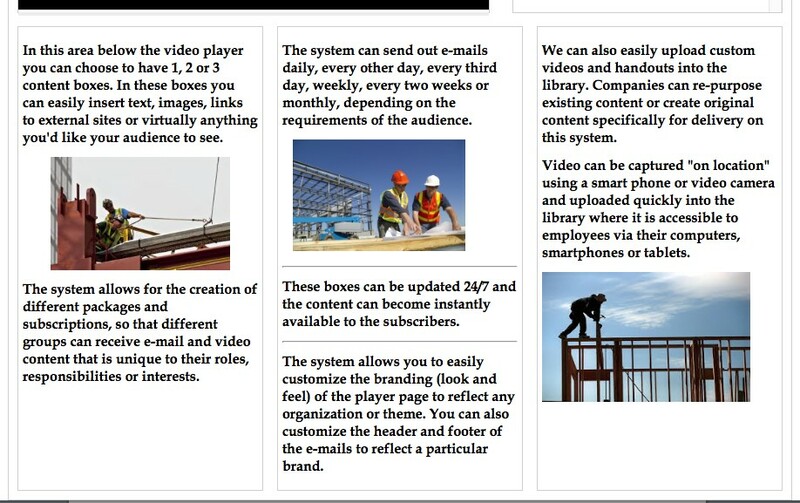 If desired, the area just below the video player can display one, two or three completely-customizable, expandable "Content Boxes". 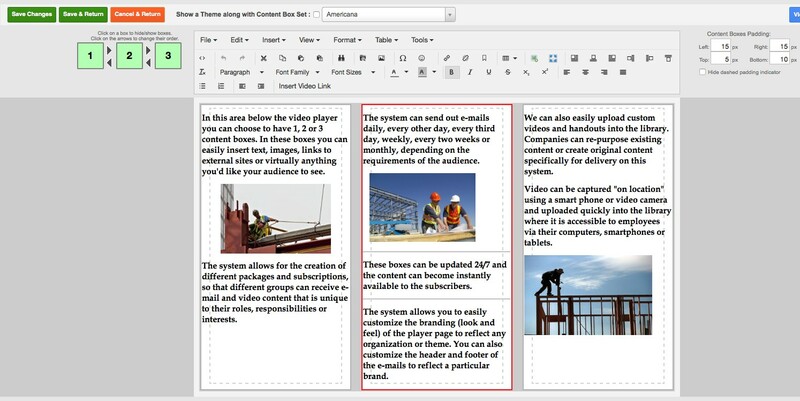 Using a word processor-like toolbar, you can quickly insert text, images or links to additional information. They can be easily modified at any time, and you can even create and save unique combinations of boxes (called "Content Box Sets") that can be associated with specific e-mails in your campaign. ReachOut365® provides the opportunity to deliver video content gradually over time. 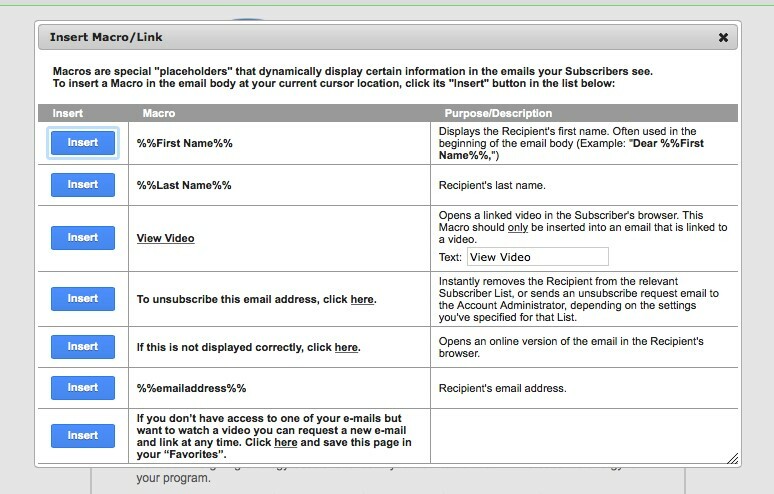 When a subscription"drips" content, recipients are able to view any videos linked to that particular email/text, as well as any videos previously-delivered. Simply tell the system that you want to drip the videos, and the platform will walk you through a simple process of identifying the number and order and timing of videos you want to deliver. With ReachOut365®, you can send out subscriptions on whatever timeline suits your requirements. Choose a preset (e.g., daily, weekly, every other week, monthly, etc. 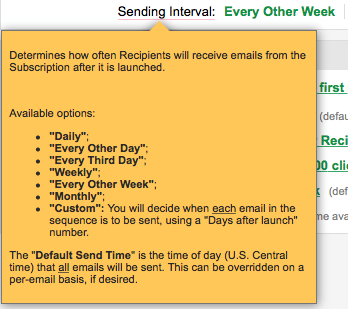 ), or create a custom schedule with specific numbers of days between messages. It’s not unusual for a company, association or individual to have several different audiences they’d like to reach. ReachOut365® allows you to easily create and deliver multiple unique subscriptions that provide unique content to different audiences. For example, you could create a unique subscription for customers, another for prospects, and yet another for employees, each with audience-specific content and scheduling. Clients have the ability to upload custom content that they have created. 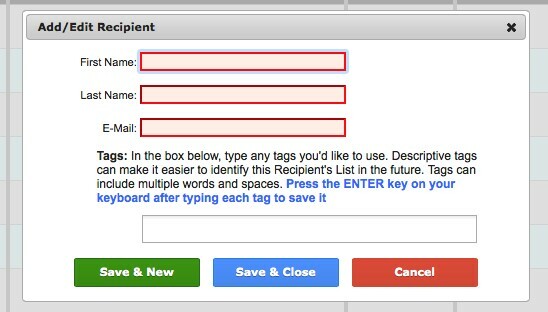 Once uploaded, this content can be assigned to specific emails and delivered on whatever schedule the client requires. Changing the order of videos is as simple as "drag & drop". Different audiences may require different content. 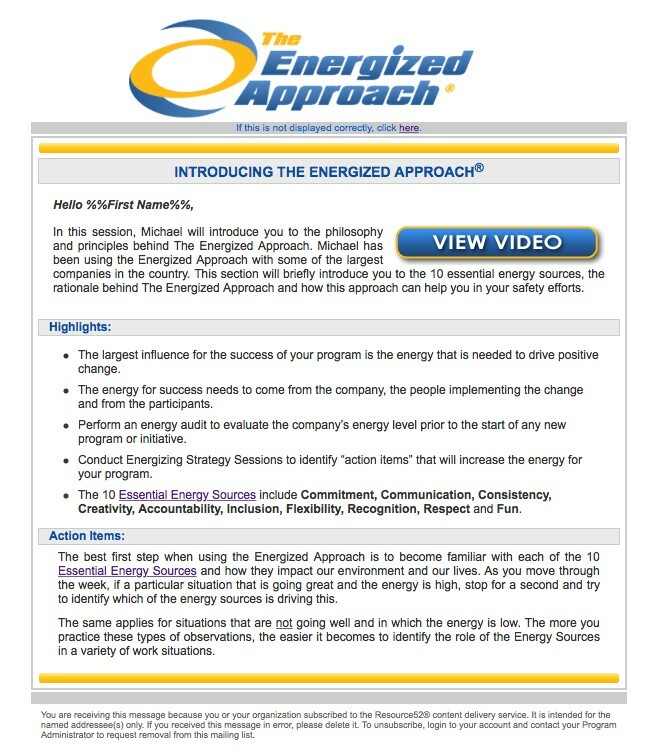 The ReachOut365® system makes it easy to create and name unique videos sets that can be inserted to different subscriptions that are aimed at different audiences. Want to "tease" your audience a bit? The ReachOut365® system provides a feature that makes selected content viewable but not playable (grayed-out). This is a great feature for promotional or demo purposes, where you want to let potential customers know what content will become available to them with a paid subscription. They will see the titles, but not be able to play these videos. Enabled videos are visible and playable. Disabled videos will appear grayed-out and will not be playable. 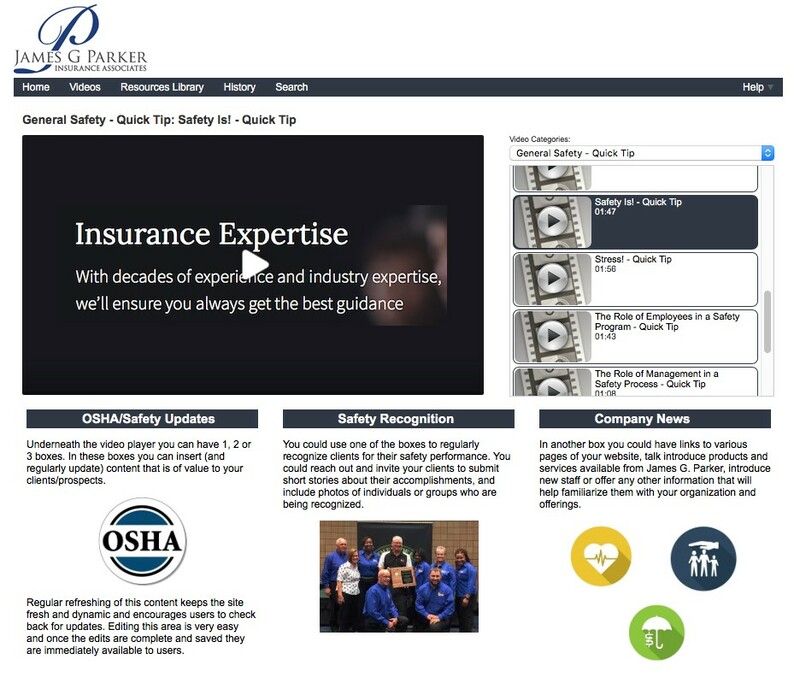 Reachout365® offers a unique opportunity to share timely information with your recipients through our easily customizable "Content Boxes", just below the video player section of the screen. You can have one, two or three boxes (or hide them altogether), and edits are immediately available to your recipients. 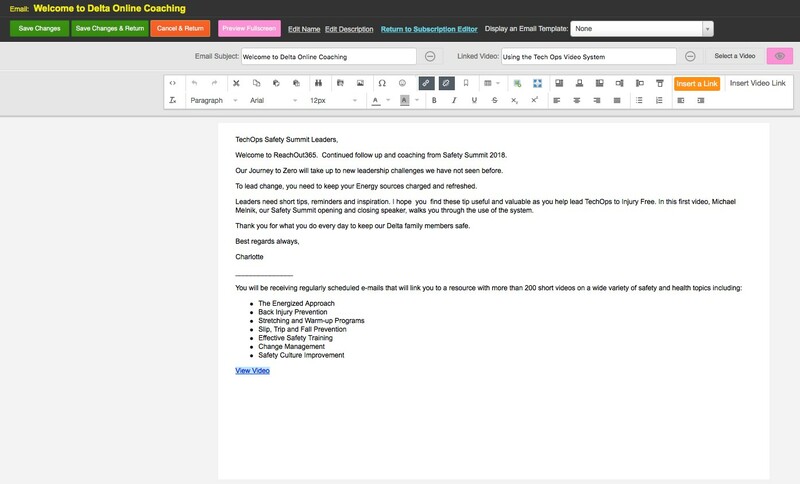 You can easily synch emails or text messages with particular content. For example, if there's a video that discusses a particular topic, plus additional information (e.g., handout, quiz, summary, etc.) that you want to share with recipients, you can "assign" a particular content box to appear when recipients are viewing the related video. 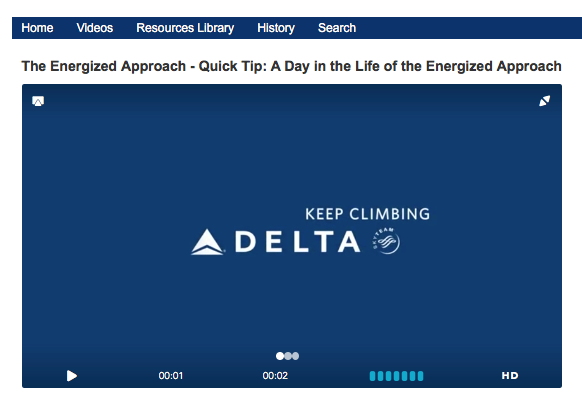 You can easily attach short promotional or branding videos that automatically play before and/or after the main video titles. 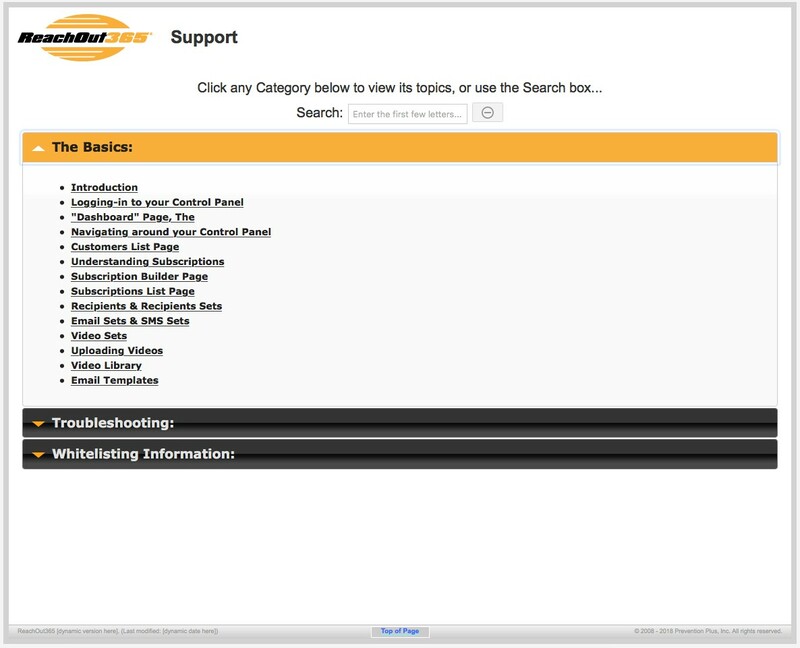 With ReachOut365® it is very easy to upload handouts, forms, and other documents or links. These resources are then available through the "Resources Library" tab that becomes visible once a resource has been uploaded. 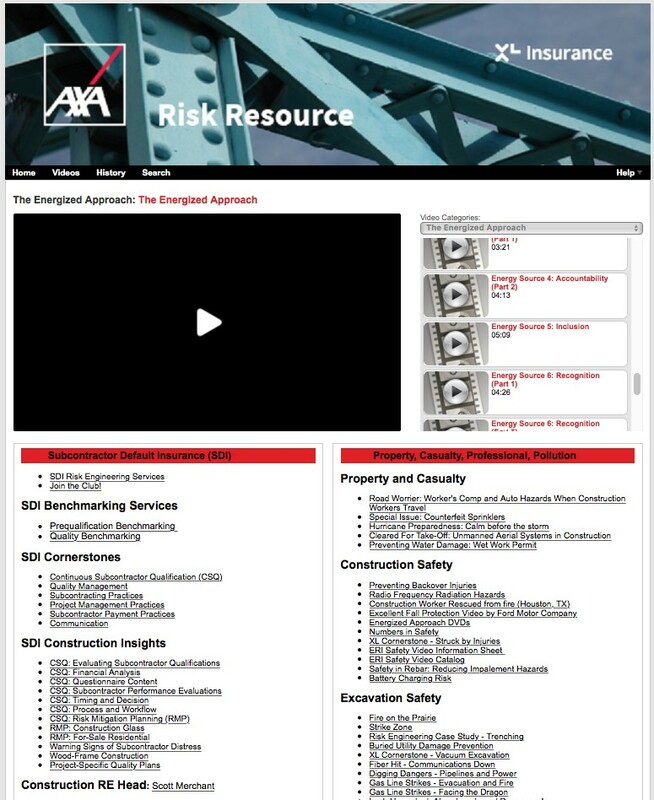 In addition, resources can be linked to specific videos. 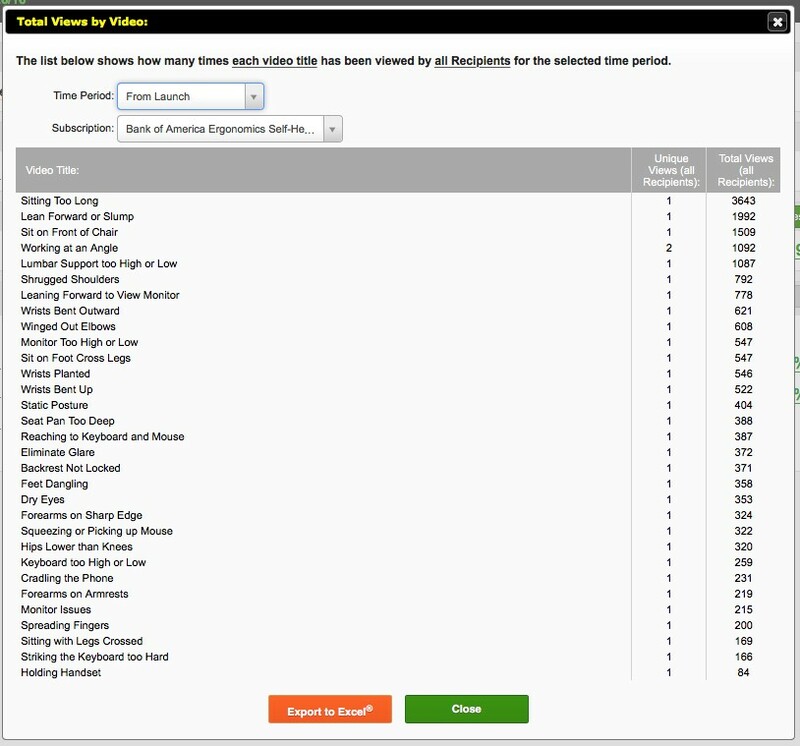 You can set a Subscription to expire after a certain timeframe, choose how many video views each subscriber is allowed, and how many "clicks" they are allowed with each text or email they receive. 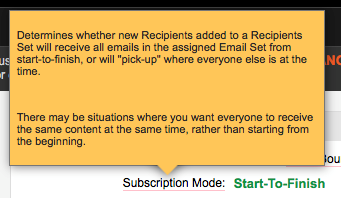 ReachOut365 allows you to set up two different types of subscriptions. You can set them up so that no matter when a new person signs up, they will receive the full series of emails and texts, starting from the very beginning ("start-to-finish" mode). This is valuable if the message or training is “linear” in nature and each message builds on the previous one. 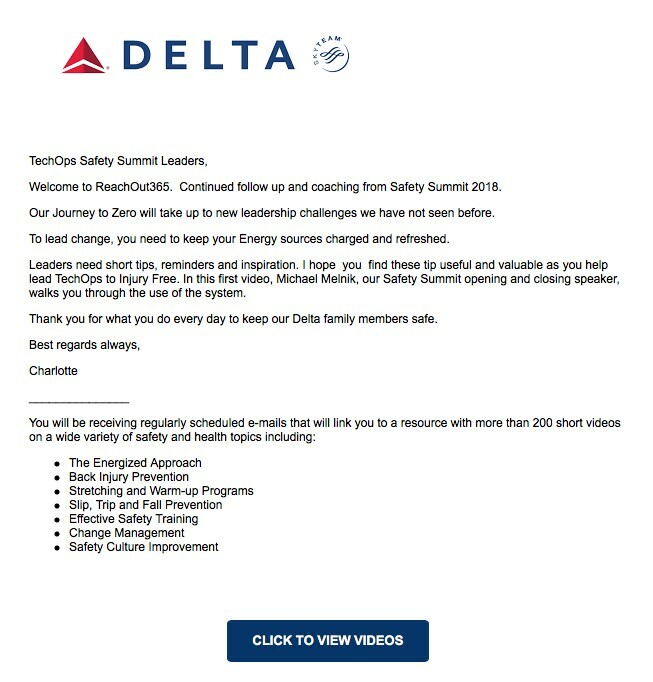 On the other hand, there are situations where an organization wants everyone to receive the same message at the same time. This is particularly valuable when the content is timely in nature or seasonal. Whether it involves training for managers or supervisors, or marketing to clients or prospects, organizations want to know to what degree the system is being utilized. ReachOut365® provides powerful, real-time statistics that include things like email opens, video views and any links that were clicked. You can view the statistics for any period of time you choose, either globally or by individual Recipient. ReachOut365® makes it simple for your message to get delivered to a broader audience. 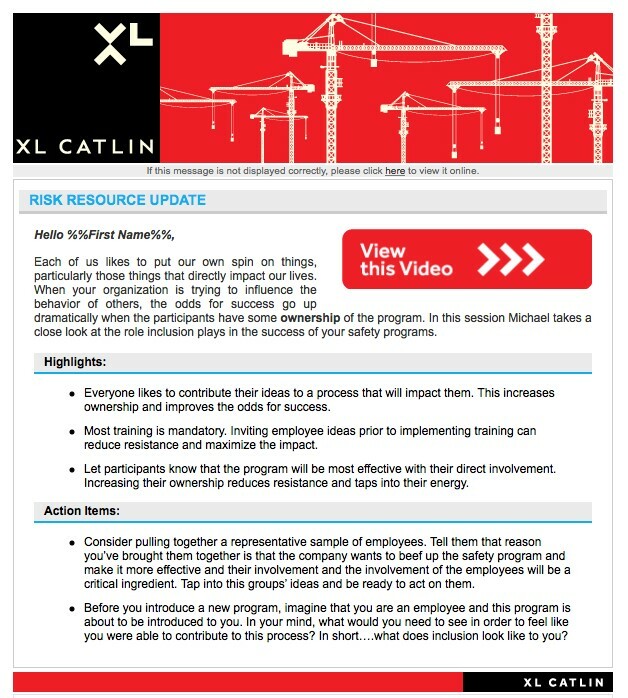 When "Forward to a Friend" is activated, clicking on the link in the navigation bar opens up a pop-up where the subscriber can write a quick note and share the video link with a peer, co-worker or other interested party. Although simple to use, the ReachOut365® system does have several "moving parts", so we’ve created a powerful Help system that walks you through every aspect of creating and sending out a Subscription. 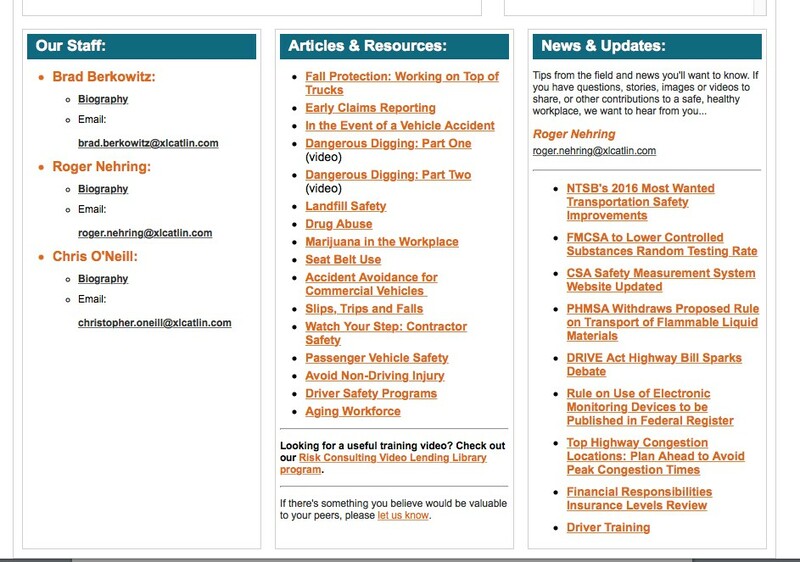 In addition to general help, it also provides whitelisting information (to increase the likelihood that emails will get through), along with detailed trouble-shooting tips. At ReachOut365®, we work closely with our clients to provide whatever level of service they desire. 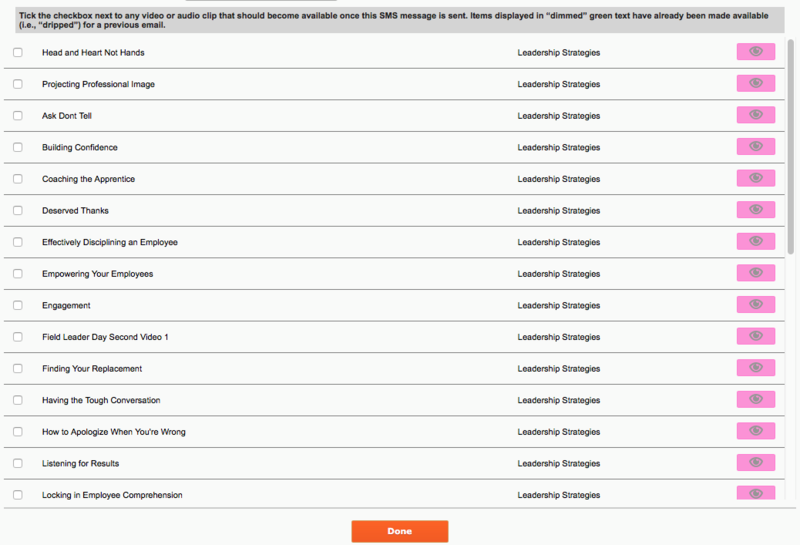 Many organizations have internal staff available to manage their Subscriptions. With these clients, we typically do initial meetings to walk them through using of the system, and then remain available if questions arise. Other clients prefer more of a "hands-off" approach, and simply want to be able to "set it and forget it". Accordingly, we offer a full array of "campaign management" services. Please contact us for more information about how we can help you to get the most from the ReachOut365® platform.